Young learners often mix the order of the months, days of the week, so I`ve made such useful bookmarks for them. You can use the bookmarks separately or stick them together as one bookmark. Hope you like it. This downloadable printable is intended for elementary school students and kindergartners and nursery school students at Beginner (pre-A1) and Elementary (A1) level. 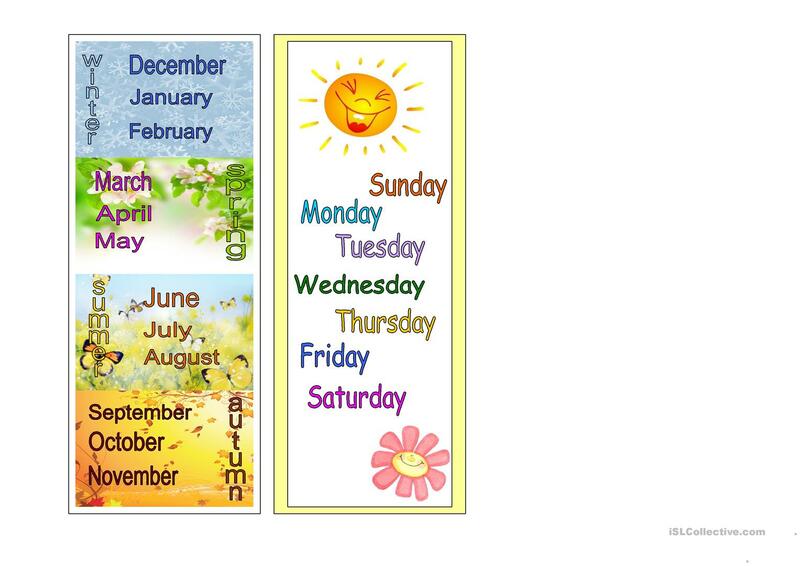 It focuses on the theme of Days of the week. manjasha is from/lives in Ukraine and has been a member of iSLCollective since 2011-12-13 22:33:33. manjasha last logged in on 2018-06-25 17:51:38, and has shared 38 resources on iSLCollective so far.